American film actor and producer. Harrison Ford was born is date July 13 in 1942. He is famous for his performances as Han Solo in the original Star Wars trilogy and as the title character of the Indiana Jones film series. Ford is also known for his roles as Rick Deckard in Blade Runner, John Book in Witness and Jack Ryan in Patriot Games and Clear and Present Danger. His career has spanned six decades and includes roles in several Hollywood blockbusters, including Presumed Innocent, The Fugitive, Air Force One, and What Lies Beneath. At one point, four of the top six box-office hits of all time included one of his roles. Five of his films have been inducted into the National Film Registry. In 1997, Ford was ranked No. 1 in Empire’s “The Top 100 Movie Stars of All Time” list. As of July 2008, the United States domestic box office grosses of Ford’s films total over US$3.5 billion, with worldwide grosses surpassing $6 billion, making Ford the third highest grossing U.S. domestic box-office star. Ford is the husband of actress Calista Flockhart. His first known part was an uncredited role as a bellhop in Dead Heat on a Merry-Go-Round and he later worked for Universal Studios, playing minor roles in many television series throughout the late 1960s and early 1970s, including Gunsmoke, Ironside, The Virginian, The F.B.I., Love, American Style, and Kung Fu. He appeared in the western Journey to Shiloh and had an uncredited, non-speaking role in the film Zabriskie Point. He eventually landed his first starring film role. In 1975, after George Lucas hired him to read lines for actors auditioning for parts in his Star Wars. Lucas was eventually won over by Ford’s portrayal, and cast him as Han Solo. Star Wars became one of the most successful movies of all time worldwide, and established Ford as a superstar. He went on to star in the similarly-successful Star Wars sequels, The Empire Strikes Back and Return of the Jedi, as well as The Star Wars Holiday Special. Ford has been in numerous other films, including Heroes, Force 10 from Navarone, and Hanover Street. Ford also co-starred alongside Gene Wilder in the buddy-Western The Frisco Kid, playing a bank robber with a heart of gold. He then starred as Rick Deckard in Ridley Scott’s cult sci-fi classic Blade Runner, and in a number of dramatic-action films: Peter Weir’s Witness and The Mosquito Coast, and Roman Polanski’s Frantic The 1990s brought Ford the role of Jack Ryan in Tom Clancy’s Patriot Games and Clear and Present Danger, as well as leading roles in Alan Pakula’s Presumed Innocent and The Devil’s Own, Andrew Davis’ The Fugitive, Sydney Pollack’s remake of Sabrina, and Wolfgang Petersen’s Air Force One. Ford also played straight dramatic roles, including an adulterous husband in both Presumed Innocent and What Lies Beneath, and a recovering amnesiac in Mike Nichols’ Regarding Henry. He also starred in Six Days Seven Nights, Random Hearts, K-19: The Widowmaker, Hollywood Homicide, Firewall, Extraordinary Measures, and also starred alongside Daniel Craig and Olivia Wilde in the science fiction Western film Cowboys & Aliens. As of April 2012, he was said to be in late-stage negotiations to join the corporate espionage thriller Paranoia. The movie already has Hunger Games star Liam Hemsworth confirmed as the lead while Gary Oldman is also in final talks to star in a supporting role. Directed by Robert Luketic, Production is scheduled to begin this summer. Since 1992, Ford has lent his voice to a series of public service messages promoting environmental involvement for EarthShare, an American federation of environmental and conservation charities. In 2006 He also received the Jules Verne Spirit of Nature Award for his ongoing work in preservation of the planet. In 1993, the arachnologist Norman Platnick named a new species of spider Calponia harrisonfordi, and in 2002, the entomologist Edward O. Wilson named a new ant species Pheidole harrisonfordi (in recognition of Harrison’s work as Vice Chairman of Conservation International). Following on his success portraying the archaeologist Indiana Jones, Ford also plays a part in supporting the work of professional archaeologists. He serves as a General Trustee on the Governing Board of the Archaeological Institute of America (AIA), North America’s oldest and largest organization devoted to the world of archaeology. Ford assists them in their mission of increasing public awareness of archaeology and preventing looting and the illegal antiquities trade. 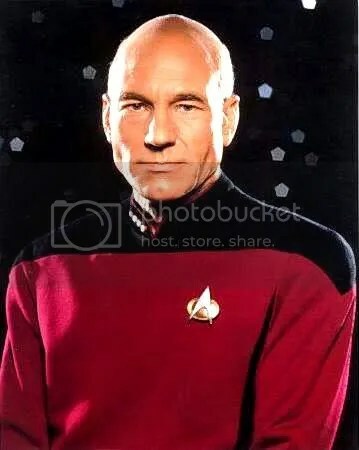 Best known as Captain Jean-Luc Picard in Star Trek: The Next Generation and its successor films English film, television and stage actor Patrick Stewart was Born 13th July 1940. He has had a distinguished career in theatre and television. He is most widely known for his television and film roles, such , Professor Charles Xavier in the X-Men film series, and as the voice of Avery Bullock in American Dad!. He attributes his acting career to an English teacher who “put a copy of Shakespeare in my hand and said, ‘Now get up on your feet and perform'”. In 1951, aged 11, he entered Mirfield Free Grammar School, where he continued to study drama. At age 15, Stewart dropped out of school and increased his participation in local theatre. He acquired a job as a newspaper reporter and obituary writer, but after a year, his employer gave him an ultimatum to choose acting or journalism, Stewart also trained as a boxer. In 1987 Stewart began his role as Captain Jean-Luc Picard in Star Trek: The Next Generation, and received a 1995 Screen Actors Guild Award nomination for “Outstanding Performance by a Male Actor in a Drama Series”. From 1994 to 2002, he also portrayed Picard in the films Star Trek: Generations, Star Trek: First Contact , Star Trek: Insurrection, and Star Trek: Nemesis and in Star Trek: Deep Space Nine’s pilot episode “Emissary”. Surprisingly for a Shakespearean actor, he has not played notable roles such as Hamlet, Romeo, and Richard III He played Antony again opposite Harriet Walter’s Cleopatra in Antony and Cleopatra at the Novello Theatre in London in 2007 to excellent reviews. During this period, Stewart also addressed the Durham Union Society on his life in film and theatre. When Stewart began playing Macbeth in the West End in 2007, some said that he was too old for the role; however, he and the show again received excellent reviews, with one critic calling Stewart “one of our finest Shakespearean actors”. He was named as the next Cameron Mackintosh Visiting Professor of Contemporary Theatre based at St Catherine’s College, Oxford in January 2007. In 2008, Stewart played King Claudius in Hamlet alongside David Tennant. He won the Laurence Olivier Award for Best Supporting Actor for the part. When collecting his award, he dedicated the award “in part” to Tennant and Tennant’s understudy Edward Bennett, after Tennant’s back injury and subsequent absence from four weeks of Hamlet disqualified him from an Olivier nomination.Stewart has expressed interest in appearing in Doctor Who. This weekend There is a Hill climb at Loton Park, Alberbury, near Shrewsbury. 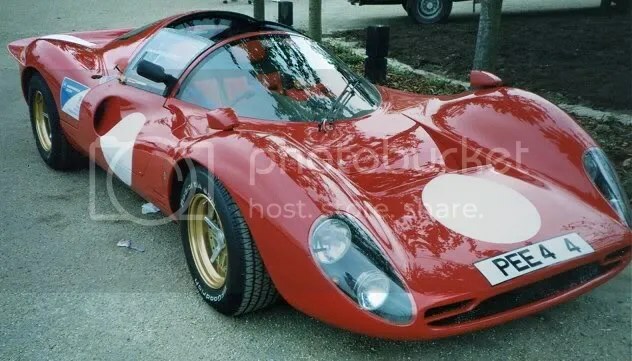 On Saturday 14th and Sunday 15th July Loton Park will host 2 National B one-day Hill Climb events featuring Ferrari (both days), Lotus(Saturday), MG (Sunday), Reliant Scimitar (Saturday) and motorcycles (both days). Sticking with the theme of Motorsport, Italian race car driver Alberto Ascari was born July 13th 1918, sadly he passed away in 1955, Italian racing and Formula One driver Jarno Trulli, was also Born 13th July 1974 and Belgian racing driver and former Formula One driver Thierry Boutsen was Born 13th July 1957. Today is Friday 13th July 2012 so I thought I would repost the article about why Friday 13th is considered unlucky along with other superstitions. It is believed that if the thirteenth day of a month falls on a Friday, it will be a day of bad luck. In the Gregorian calendar, this day occurs at least once, but at most three times a year and any month’s thirteenth day will fall on a Friday if the month starts on a Sunday. Friday the 13th The fear of Friday the 13th is called friggatriskaidekaphobia (Frigga being the name of the Norse goddess for whom “Friday” is named and triskaidekaphobia meaning fear of the number thirteen), or paraskevidekatriaphobia. The latter word was derived in 1911 and first appeared in a mainstream source in 1953. Several theories have been proposed about the origin of the Friday the 13th superstition. One theory states that it is a modern amalgamation of two older superstitions: that thirteen is an unlucky number and that Friday is an unlucky day. In numerology, the number twelve is considered the number of completeness, as reflected in the twelve months of the year, twelve hours of the clock, twelve gods of Olympus, twelve tribes of Israel, twelve Apostles of Jesus, the 12 Descendants of Muhammad Imams, etc., whereas the number thirteen was considered irregular, transgressing this completeness. There is also a superstition, thought by some to derive from the Last Supper or a Norse myth, that having thirteen people seated at a table will result in the death of one of the diners. Friday has been considered an unlucky day at least since the 14th century’s The Canterbury Tales, and many other professions have regarded Friday as an unlucky day to undertake journeys or begin new projects. Black Friday has been associated with stock market crashes and other disasters since the 1800s. It has also been suggested that Friday has been considered an unlucky day because, according to Christian scripture and tradition, Jesus was crucified on a Friday. One author, noting that references are all but nonexistent before 1907 but frequently seen thereafter, has argued that its popularity derives from the publication that year of Thomas W. Lawson’s popular novel Friday, the Thirteenth, in which an unscrupulous broker takes advantage of the superstition to create a Wall Street panic on a Friday the 13th. Records of the superstition are rarely found before the 20th century, when it became extremely common. The connection between the Friday the 13th superstition and the Knights Templar was popularized in the 2003 novel The Da Vinci Code. However, experts agree that this is a relatively recent correlation, and most likely a modern-day invention. Although according to many Freemasons, this date corresponds with the slaughtering of the Knights Templar by the Church. Black cat The beliefs surrounding the luck of black cats varies across the world, with some cultures believing them to be lucky and others a bad omen. The most widespread belief is that if a black cat crosses your intended path, bad luck will befall you. Black cats have often been associated with being the familiars of witches and during the Middle Ages, these superstitions led people to kill black cats. This was said to increase the population of rats and hence the spread of the Black Death (Bubonic Plague). However, according to Daniel Defoe – who was alive during the spread of the disease but wrote a fictional account of the Plague – in 1665 the Lord Mayor ordered thousands of cats and many dogs to be killed as they were believed to be spreading the disease, despite it now being understood as the fleas on the rats that were responsible. Walking under a ladder This superstition is said to arise from early Christian teachings that an object with three points represents the Holy Trinity: God the Father, God the Son, and the Holy Spirit. A ladder leaning up against a building was seen as a triangle, and to pass through this triangle by walking under the ladder was seen as breaking the Trinity, putting you in league with Satan. Of course it could simply be bad luck for you and the person at the top of the ladder if you accidentally knock it. Opening an Umbrella indoors The most common origination of the myth stems from the days when umbrellas were used mainly as protection against the sun in Ancient Egypt. It was designed to capture the goddess of the sky’s (Nut) essence and so were suitable for use only by the highest nobility, and those seen to be holding one were seen to be bringer of bad luck. To open one indoors would also be to insult the sun god (Ra) and invite his wrath on everyone in the household. One legend surrounding the superstition is that it was invented specifically to cut down on the number of accidents that sprang from the umbrella when they had pointy and dangerous metal spokes in Victorian England. Full Moons These are traditionally linked with temporary insomnia and insanity due to the folklore that madness can occur in cycles with the moon, hence the term lunatic or lunacy. It’s also associated with lycanthropy as the mythological werewolf is said to appear when full moons are out. It was thought that to sleep in direct moonlight caused madness or blindness and in Italy, France and Germany, it was said that a man could turn into a werewolf if he, on a certain Wednesday or Friday, slept outside on a summer night with the full moon shining directly on him. Various facts have been claimed around Full Moons appearing such as Police in Toledo, Ohio claimed that crime rises by five percent during nights with a full moon and the study of the Bradford Royal Infirmary found that dog bites were twice as common during a full moon. Treading on cracks in pavement ‘Step on a crack, break your mother’s back’ The fear of stepping on cracks in the pavement is said to originate from an ancient fear of letting the soul out of the Square, as the four corners are an ancient symbol of balance and perfection. Never say ‘Macbeth’ According to the theatrical superstition called the Scottish curse, speaking the name Macbeth inside a theatre will cause tragedy and so the lead character is most often referred to as the Scottish King or Scottish Lord. Those who believe in the curse claim that real spells are cast in the three witches scene. Productions of Macbeth are said to have been plagued with accidents, many ending in death. The legend of the curse dates back to the premiere of the play when an actor died because a real dagger was mistakenly used instead of the prop.